Panasonic Electric Works Corporation once again expands its line of PLCs with the introduction of the first compact Impulse Heat Controller PLC. The Impulse Heat Controller is ideal for small machines where space is a premium, yet, it is required to perform difficult tasks. The controller performs the task of precisely controlling the heating and cooling process to ensure a perfect seal. This compact controller has programming memory of 2.7K steps. Its temperature input range is between 22 and 1076 degree F with a 0.1 degree F resolution. The response of this controller is 18ms temperature update time. The controller has an outstanding PID algorithm for extremely tight, accurate and repeatable seal quality compared to other controllers. This controller has a built-in Auto-Tune feature for quicker set up time. 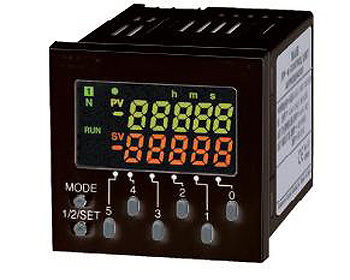 It features total machine control with built-in 8 digital inputs, 5 NPN transistor outputs, 1 relay output, and 2 Com ports for additional communication with other devices, such as Bar Code readers, PC, HMI, etc. Programming can be done in plain Ladder Logic or using IEC 61131 programming software.